I love music, live events, and audio, and during the last few months I’ve rediscovered that I love Sound Design Live. I’m really excited to show you what I’ve been working on! First of all, there’s this ballin’ website. I’m not a pro web designer, so let me know if you see any problems. More on that later. 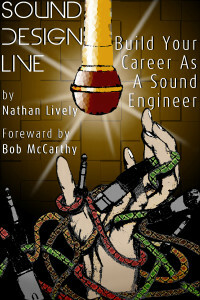 Second, I wrote a book for sound engineers, yo! Well, not really. Actually I compiled the best parts of my first two years of interviews into an eBook, but that’s close, right? So, back to the website. I’m going to keep doing the podcast, obvs, and I will be adding new features like tutorials, articles, and gear reviews. The kind of thing you’ll want to read with your morning coffee. Then you’ll laugh said coffee through your nose. In fact, if that doesn’t happen, money-back guarantee. Podcast Interviews – Each month I will focus on a different aspect of working as a sound engineer, and each focus will kick off with an interview. On deck, I have Paul Griffiths on mobile job search and career advice, Wendy Jo Peterson (the Roadie Nutritionalist) on food and drink at work, Peter West on the Technical Theatre Bible, Bob McCarthy on Sound System Design & Optimization, Sara Harowitz on Freelancer’s Union, Dave Swallow on live audio, and Jacob Worek on event safety. Pro Audio Reviews – Product reviews of audio hardware and software, including headphones, compressors, microphones, mixers, speakers, and books. Coming up, I’ll review a condenser mic, software for invoicing clients, job search engines, a Mediterranean cookbook, wireless headset microphones, Bob McCarthy’s book on sound system design, The Freelancer’s Bible, and The Event Safety Guide. Tutorials & Resources – Articles, tips, and techniques on the how-to of sound engineering, sound design, sound system design & optimization, and audio engineering. Upcoming topics include: Condensers for Live Use, Best Tips for Building a Freelance Career, How To Automate Your Job Search, How Much Do Sound Engineers Make?, Meals That Last For Days, How To Tune A Sound System In 15min, and How To Keep track of Expenses For The Greatest Tax Deduction. Sounds like a party, right? That’s because each post will be part of a series focusing on a different aspect of working in pro audio. After a year, I will have a whole course laid out to help you build your career as a sound engineer. Of course, it’s still a work in progress, so if you see any problems please tell me! 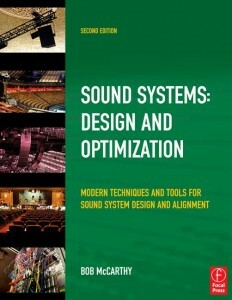 New eBook For Sound Engineers! As I mentioned, I am publishing an eBook based on the first two years of podcast interviews I did for Sound Design Live. I transcribed all of the interviews and assembled the best parts to give shape to the technical and career challenges that we face in the pro audio industry. The book has lots of great information on pushing buttons, a whole chapter on educational advice for students, and some high-fives and dirty jokes. 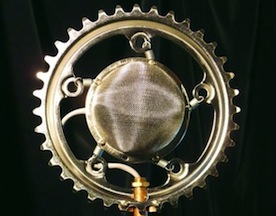 As a countdown to the release date, every day this week I will publish a new pro audio interview or article from my series on condenser microphones. Everyone who preorders the book during this week will receive 30% off the normal price and free upgrades for life! Sunday July 14 – Sound Design Live eBook Launch! After the eBook launches I will be publishing one piece of great content every Sunday. Join me. Cool! Looking forward to the new info. I discovered your podcast a couple of months ago and quickly burned through all the episodes. Cool! What kind of events do you work on?